Would you want your teenager to watch terrorists killing people in the real world or someone committing suicide? No one, in their right mind, would ever want their kids to get exposed to such events, simply for the repercussions that such content can have on young impressionable minds. But with a smartphone on their hand and Facebook installed in it, chances of them watching such horrific content some day cannot be denied, especially because the social media giant allows all its users to go live. The 28-year-old Australian who sprayed bullets on innocent people who were praying at mosques in New Zealand on March 15 decided to broadcast his act on Facebook. Facebook said the video was viewed fewer than 200 times during the live broadcast, but it was watched about 4,000 times before being removed from the platform. By that time, copies of the 17-minute video were later shared in millions on other social media platforms, including Twitter and YouTube. Facebook earlier faced flak for the live streaming of suicides on its platform from different parts of the world, including India. So does that mean that live broadcast on social media platforms should be banned? “What happened in New Zealand was one-of-a-kind heinous exhibition of brutality and terror. I don’t think the world has become so bad that we should see such things occurring repetitively,” Faisal Kawoosa, Chief Analyst at market research firm techARC, told IANS. “Live streaming is an essential part of social media platforms and as video becomes the default mode of communication over digital platforms, live streaming empowers users to be real time on these platforms,” he added. Youngsters also find the facility, which is also available on YouTube and Instagram, useful for broadcasting their travelling adventures and tutorials. “The ‘live’ feature on social networking platforms could be good for people who want to publicise stuff like their travel, fashion or subject tutorials,” said 25-year-old Rijul Rajpal who works with a film production company. Many even find it helpful for connecting with their favourite film stars and music icons. But despite the usefulness of the feature, one cannot deny the potential of misuse of the feature, especially because the social media companies have still not developed a technology that can prevent the broadcast of live shooting. 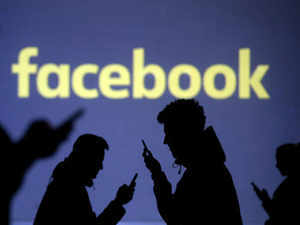 Facebook said that its Artificial Intelligence (AI) system could not automatically detect the New Zealand shooting video as the system was not properly trained. It promised to improve its technology so that broadcast of such videos can be prevented in the future. But policy makers are not impressed. In the US, tech firms have already been asked to brief the Congress on March 27 regarding their response to dissemination of the video of the New Zealand terrorists attack on their platforms. The social media giant may face similar questions from lawmakers in other countries in the coming days.